Karva Chauth, a festival, in which married women observe nirjala vrath (fast without food and water) from sunrise to moonrise, for the well-being of their husbands, will be celebrated across the nation on Sunday (October 8). The women observing Karva Chauth can only break the fast only after offering prayers to the moon. 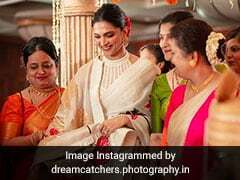 Every year, Bollywood celebrates Karva Chauth will full fervour. 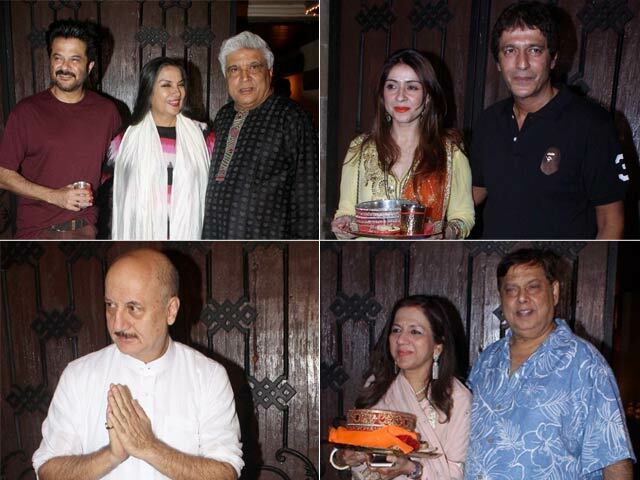 Last year, celebrities like Sridevi, Raveena Tandon, Neelam Kothari, Bhavna Pandey and others gathered at Anil Kapoor's Mumbai residence to celebrate the festival. Meanwhile, actress Bipasha Basu, who observed the fast for the first time, celebrated it with her family. Here's a recap of what the stars wore last year on Karva Chauth. Take a look at what others wore. 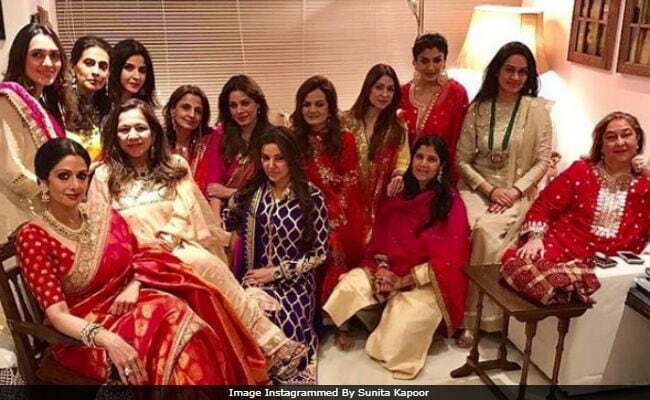 ICYMI: The big fat Karva Chauth picture, featuring Sridevi, Raveena and others. Raveena Tandon opted for a red salwar suit which she teamed with golden danglers. Bipasha Basu, who married Karan Singh Grover in April 2016, wore a beautiful pink and white salwar suit. I think I'll just eat your face!!! It was also Preity Zinta's first Karva Chauth last year. "Here's wishing all the lovely married ladies. A very #happykarvachauth from me in my favorite Karvachauth wala red nail polish," she posted. A recap of how other stars celebrated, including TV actress Divyanka Tripathi. Happy Karva Chauth, ladies! This year, the muhurat starts at 6:03 pm and ends at 7:17 pm.